The Hexatonic scales are those having 6 notes. 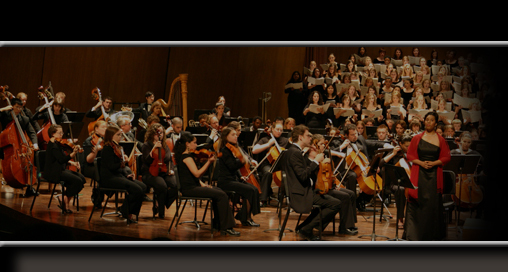 Next, the two most important types of hexatonic scales are described. Due to the existing symmetry in this scale, any of its notes can be considered the tonic. 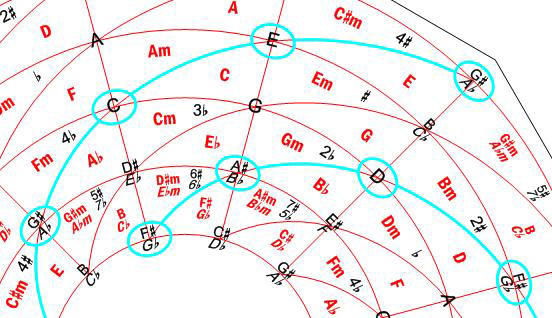 Its representation on the Harmonic Wheel is very simple, for it corresponds to 2 non-consecutive spiral lines (Fig. 23). It is easy to prove that there are only 2 different Whole Tone scales. A Whole Tone scale has no consonant chords, but it contains every Augmented chord formed by considering any note of the scale as the root. 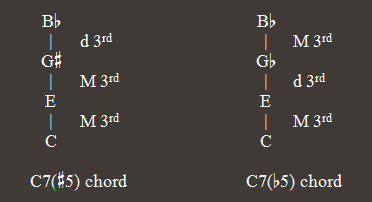 Moreover, it contains every Dominant 7th chord with Augmented or diminished 5th, that is, the 7( 5) and 7( 5) chords, which are formed by considering any note of the scale as the root. For example, if we consider C as the root, the C7( 5) and C7( 5) chords are obtained. Figure 23. Whole Tone scale representation. Due to the existing symmetry in this scale, 3 from its 6 notes can be considered the tonic: C, E and A . 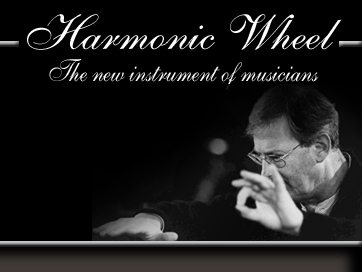 Its representation on the Harmonic Wheel is very simple, for it corresponds to 2 consecutive spiral lines (Fig. 24). It is easy to prove that there are only 4 different Augmented scales. An Augmented scale contains 6 consonant chords, 3 Major and 3 minor, whose roots are the 3 possible tonics of this scale. Furthermore, it contains every Augmented chord formed by considering any note of the scale as the root. Figure 24. Augmented scale representation. 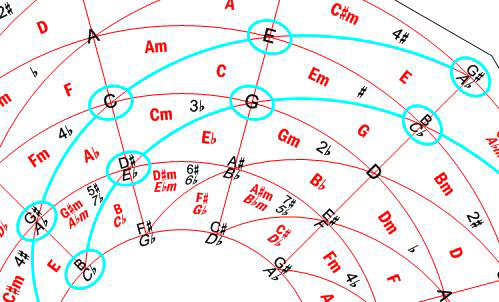 Hexatonic scales, but mainly the Whole Tone scale, are widely used in modern music and jazz. And, particularly, in improvisation techniques.